Man heads out for a swim — then climbs atop iceberg near Twillingate, N.L. 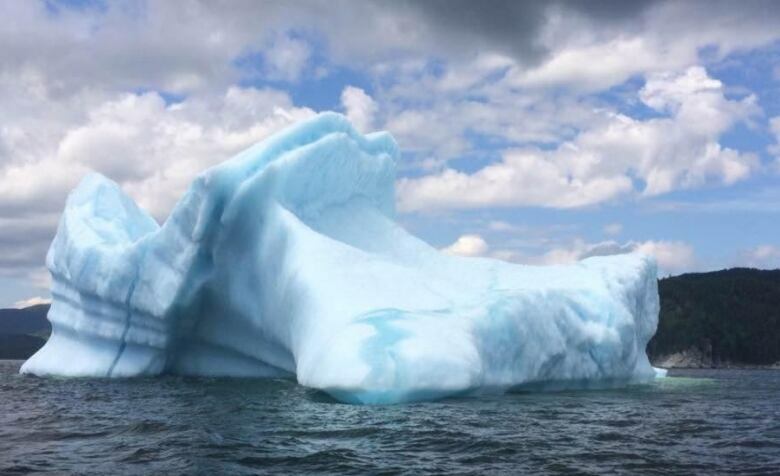 A man swam out to an iceberg near Twillingate, N.L., and then climbed on top of it. Yes, really. 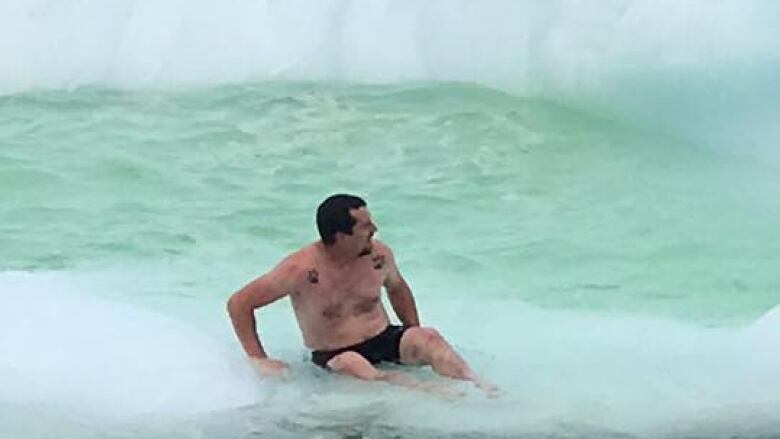 A Steady Brook man captured an icy — and risky — swim on video, when a man stripped down to shorts, jumped into the water, swam out to an iceberg and climbed on top of it. "It was seven degrees, it was windy, I had my down jacket on, and he said, 'I'm going to swim out to the iceberg, I've always wanted to touch an iceberg,'" says Jerry George, whose wife recorded the icy dip on video. "I was thinking whether I was going to be dialing 911." George said it was the iceberg that caused him and his wife to pull over on their Canada Day weekend drive to Twillingate in the first place. His wife wanted to get a picture, so they pulled onto the main causeway between New World Island and Twillingate Island. George said he cautioned the man about hypothermia but the mysterious swimmer said he had taken the plunge in colder water. "No big deal, it didn't faze him in the least," George said. "I think we were more overcome with what he was doing than he was. In the video, the man motions for a woman to take a picture. "It was pretty neat to watch, and just a moment my wife happened to catch on video," said George, who is trying to track down the man to show him the result. The adventurous swim may have ended OK this time, but it could have easily ended in tragedy, warns the Red Cross of Newfoundland and Labrador. "Icebergs are very unstable," said Michael Beck, an instructor with the organization. "They could flip, they could completely roll over and as a result of that rolling, you're going to get a lot of water being pushed away and you're going to get a lot of spray. You could also get chunks of ice that fly off and essentially that could knock you unconscious." He said that's the most violent risk — but others are just as dangerous, like hypothermia or cracks in the iceberg caused by the sun or other factors. Beck said natural wonders should be admired from afar. "While icebergs are beautiful, they do have a lot of force and a lot of power, and people tend to underestimate them."